An exhibition in the new building of the Museum of Art and Archaeology (accessed by General Luis do Rego Street) that's dedicated to the famous Portuguese sculptor Aleixo de Queiroz (nineteenth century). 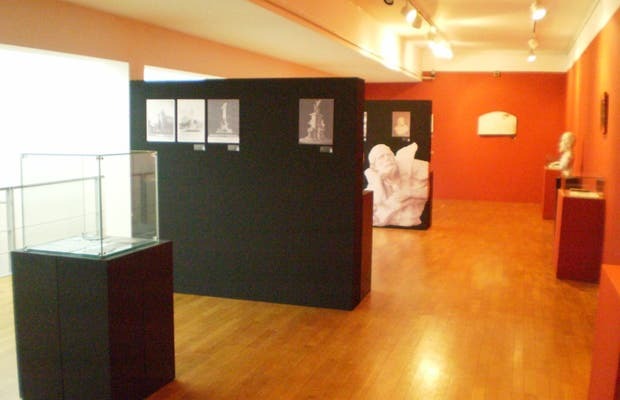 The exhibition takes a journey through his biography, using different panels the different life stages are explained and some of his works are exposed. The most important work in the exhibition is the bust of Vasco de Gamma (in the hall of the museum) and the most famous work of his career is the sculpture of the Sacred Heart (presides over the altar of the Basilica of Santa Luzia).